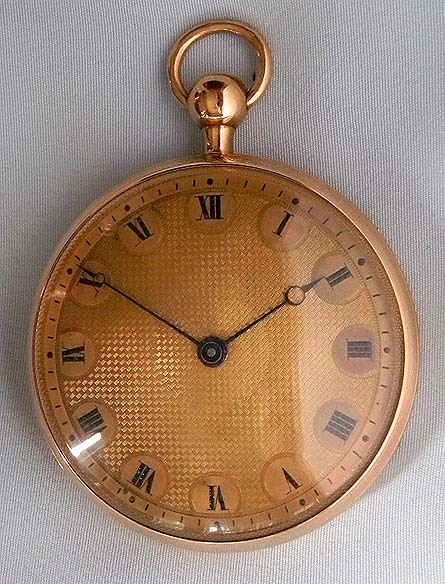 Fine and interesting transitional 18K gold ruby cylinder quarter repeater antique pocket watch circa 1810. Gold engine turned dial with black markings and blued steel Breguet hands. 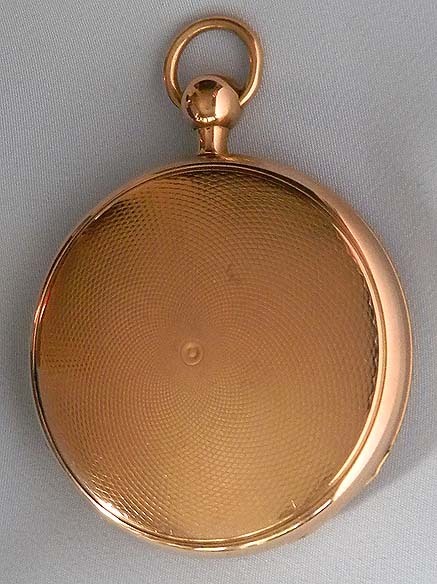 Engine turned case with repeat piston in the pendant. Lepine caliber movement with compensation curb. When activated this watch chimes the hours and quarters with 2 hammers on two square wire gongs. Good clear tone. 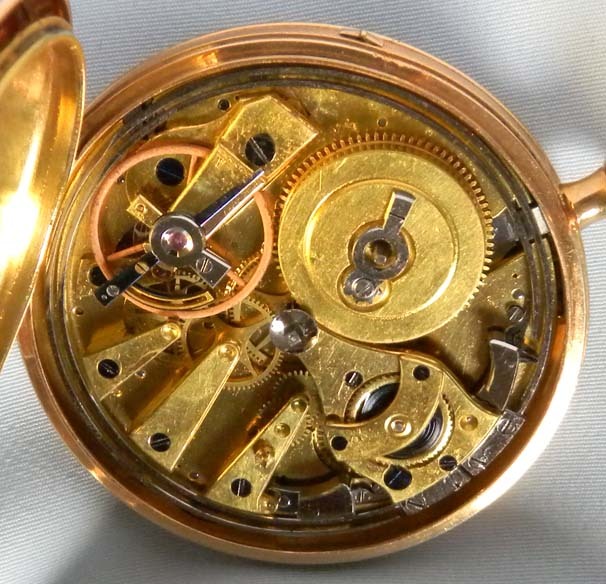 The cylinder escapement was invented by Thomas Tompion and it eventually was one of the escapements that replaced the verge, allowing watches to be made fashionably thin. 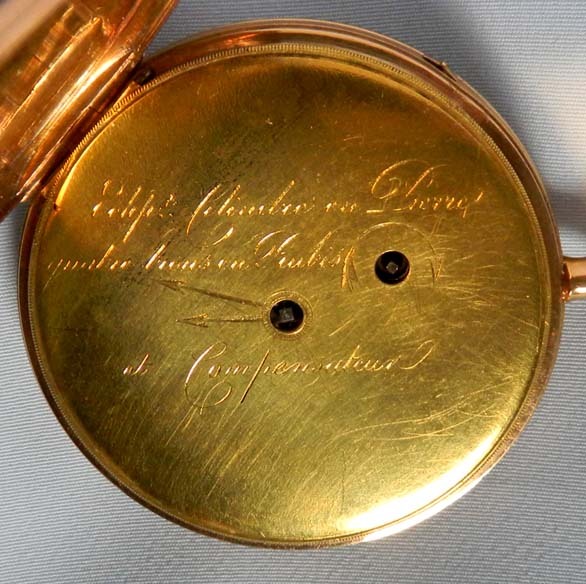 The best cylinder watches were often fitted with a cylinder made from ruby to reduce wear and friction. These are fragile and when broken are usually replaced in steel, so original examples are not plentiful. From the outside this watch looks like a verge watch so it is a surprise to open it and find a cylinder movement.